Be seen to be safe with this quality reflective quarter sheet. 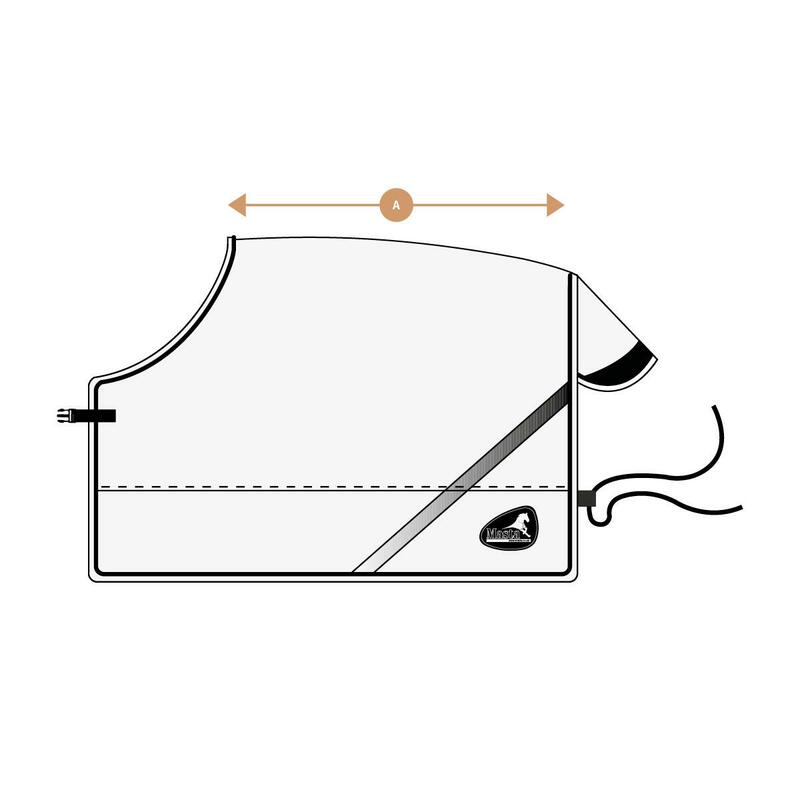 Reflective quarter sheet with tail flap, which is designed to sit neatly behind the saddle and attach to the girth straps. Hi-Viz side panel with reflective prints ensure your horse remains safe and seen. Very lightweight, perfect to keep the heat in on a cold day and repels rain very well! Would 100% recommend great for being stylish and safe, and pairs very well with the Hi Viz over reach and brushing boots! Bought a large size for my 16.2hh Irish draught and it fits perfectly. Shaped over the back end with a generous tail cover to give all round reflectiveness! Very bright reflective fabric when the headlights shine on it!! Good amount of adjustment for attaching to saddle girth straps. Mesh lining so not too hot! Comes complete with fillet string and Harry Hall reflective stripe on both sides. A real must for the dark evenings!! Thoroughly recommended! !